A few weeks ago hubby and I took a nice week-long vacation. We hit various beer spots stretching from Seattle down to Centralia. I can’t include my favorite places in one article so I will write in parts. Our vacation started off on a very elegant note. 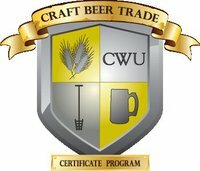 I have wanted to attend a beer pairing dinner for a while but due to my unpredictable work schedule (yes, I have a real job) and the fact that most of the dinners take place during a weeknight, I haven’t been able to go to any. Just so happens the first night of our vacation we were able to go to a great beer pairing dinner at Trellis; a lovely restaurant inside the Heathman Hotel in downtown Kirkland, WA. This gorgeous hotel is chic and artsy. Beautifully decorated it would be easy to sit in front of the fireplace in the lobby and enjoy a book or good conversation. Our hotel room was very upscale and I felt like queen. 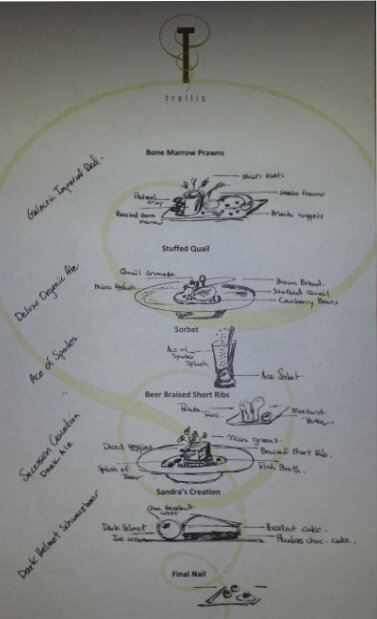 As for the beer dinner…. Lord knows I am no food critic but I will do my best to describe the incredible meal we had. 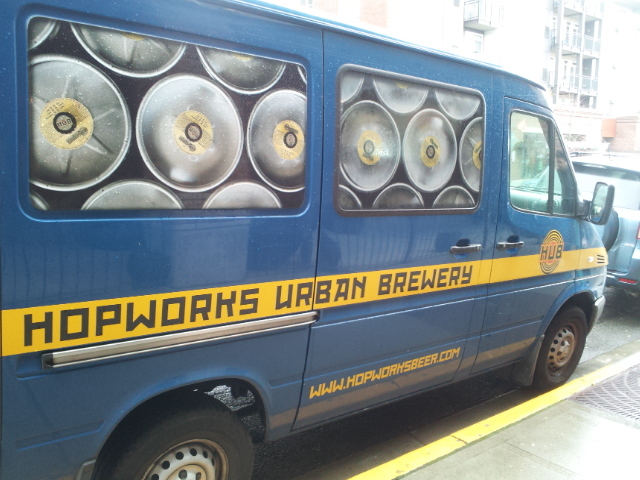 The Hub Brewery (AKA Hopworks Urban Brewing Company) from Portland was the guest brewer of the evening. We started with hors d’oeuvres in the lobby which consisted of popcorn shrimp, beef skewers, pulled pork sliders, homemade potato chips and pork rinds just to name a few. We sipped on tasters of The Hub’s Pale Ale and Lager. The Pale Ale is honey gold in color. The aroma is citrusy and floral. There is a nice hint of caramel in the flavor and it finishes crisp and clean. The Lager is light, smooth and malty. Soft honey flavor coats the palate and a sweet floral finish. Also crisp and clean both of these beers were a perfect teaser for what was to come. As we sat down at our tables I was shocked and excited to discover that my husband and I would be sharing our table with Don Scheidt of Celebrator Beer News and his lovely wife. As we settled in we were handed what has to be the most creative menu I have ever seen. Drawn up like a blue print the menu contained hand drawn visuals of what we were going to be served for the duration of our dinner along with which beer was to be paired with it. 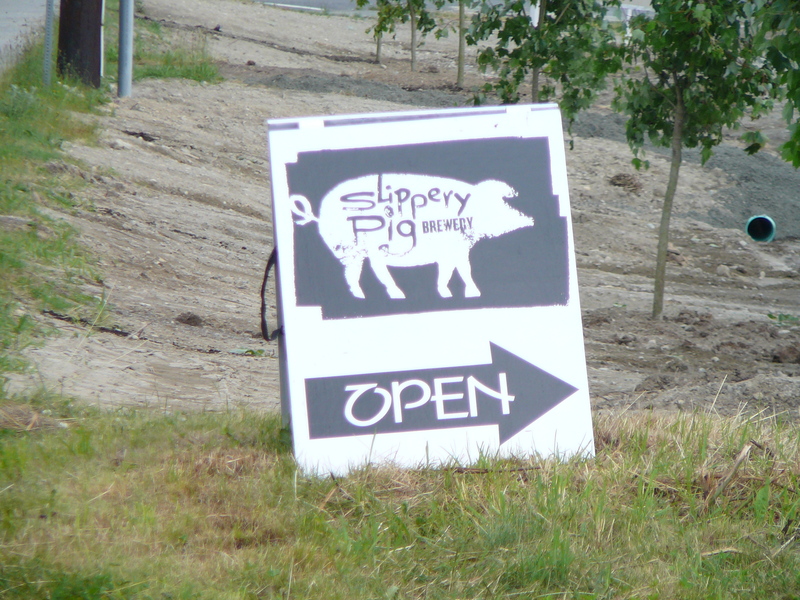 Chef Brian Scheehser uses the freshest of ingredients from his own farm located just a few miles from the restaurant. And boy does it show! First up was Bone Marrow with Prawns served with The Hub’s Galactic Imperial Red. I have never had bone marrow before but I must say it was surprising good! Served with small crackers this appetizer was rich with a smooth texture. The Imperial Red was toasty, crisp and malty. Medium to full-bodied this beer went very well with the richness of the marrow. Next up was Stuffed Quail and the Deluxe Organic Ale. Another first for me, the quail was tender and flavorful. The Organic Ale was very clean, crisp and fresh. Nicely hopped this is a very well-balanced beer and paired well with the quail. For a palate cleanser we were served sorbet in a tall glass with a side of The Hub’s Ace of Spades. This double IPA was very hoppy and crisp. According to our blue print menu we were to pour the IPA into the sorbet glass. Following suit I did and wow what a great surprise. The IPA mellowed out the sorbet’s sweetness while the sorbet cut down on the bitter hoppiness. I’ve never had an IPA float before, but this one was delicious and different. The next dish on the menu was also my favorite. Beer Braised Short Ribs serve with the Session Cascadian Dark Ale. The meet on the short rib sat in a rich broth and was incredibly tender and fell apart on first touch. I wish I had more of the short ribs. The Dark Ale was the perfect beer for this dish. It’s dark and smoky with a toasted malty finish. Hints of chocolate and coffee complimented this dark ale. For dessert we were served Sandra’s Creation. A dark chocolate, hazelnut, flourless cake. Rich, decadent deliciousness. And the beer? The Hub’s Dark Helmet Schwarzbeer. This malty beer had notes of dark chocolate and was like drinking an iced mocha. Chocolate and chocolate. Just when I thought we couldn’t end a meal any better we were served the Final Nail. In other words; dark chocolate truffles. Absolute rich decadence at its finest. So, we slowly waddled our way to our gorgeous hotel room and crashed. We are still talking about what a great experience we had at Trellis. The staff was very friendly and accommodating. The hotel was beautiful. The food; incredible. And the beer, well I have to say, the beer was great and paired perfectly with the meal. I enjoyed my dinner companions, the food, the beer and the atmosphere. 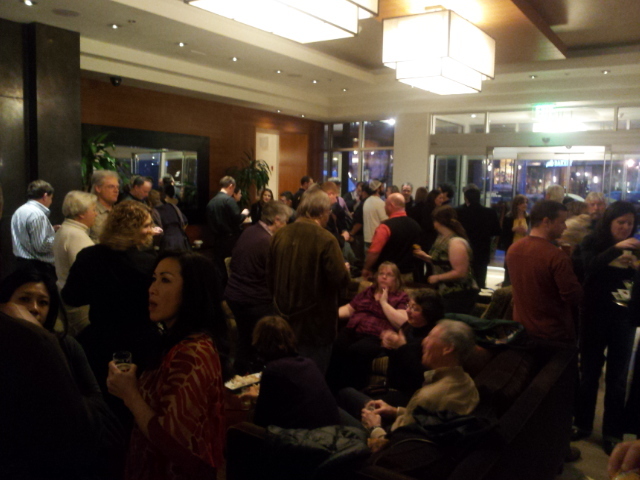 My thanks to the Heathman Hotel, Trellis, and the Hub for an incredible evening. Part 2 of my beer vacation coming soon!